Statistics conducted by the Alzheimer's association show that more than 5 million seniors are living with Alzheimer's disease or another type of dementia in the United States. Unfortunately, as the U.S. population age 65 and older continues to increase, so will this number. Today, every 68 seconds, a person develops the disease. What's important in caring for a person who is experiencing cognitive and memory loss is to create a loving, caring environment that assures their safety and enhances their sense of dignity and self-esteem. The Alzheimer's Association advises people with early stages of Alzheimer's to get help with daily tasks such as meal preparation, housekeeping, running errands, bill paying, yard work, and driving.This helps give them more time to stay active with hobbies and to eliminate a sense of being overwhelmed. 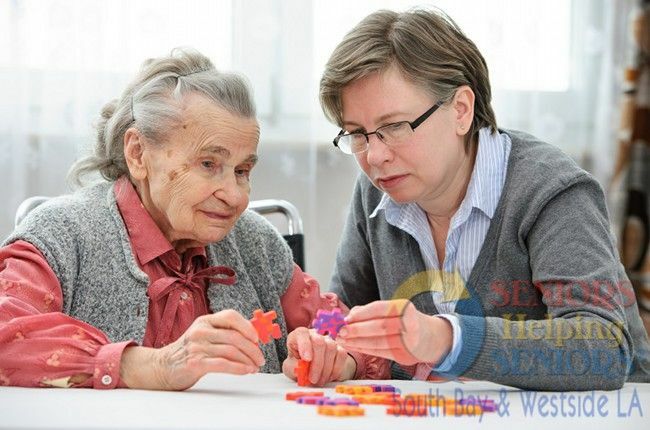 The loving, caring, compassionate caregivers of Seniors Helping Seniors are especially qualified and trained to help individuals make the simple adjustments of daily living while enhancing their sense of achievement and accomplishment.